Slight changes have been carried out to the Sporting rules concerning mainly the meanings of the signalling flags or riders behaviours. In each class, 2 wild cards will be allocated for each event and the deadline for presenting the wild card candidature will be extended to 90 days for overseas event. · Top three riders move back to row three and see 1st and 3rd reverse their positions. · Riders who finished in 4th, 5th and 6th will be promoted to the front row. · Riders who finished in 7th, 8th and 9th will start from the second row. 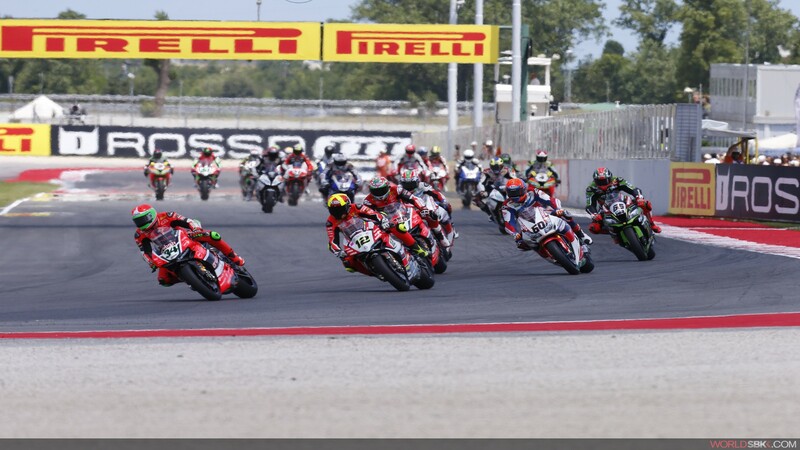 A new and updated time schedule across the weekend is to be defined which means we will see changes to how the WorldSBK race weekend is played out, especially with the introduction of the World Supersport 300 series. There is to be ban of the use of scooters in order to aid track familiarization in the build up to or over a race weekend. Walking or the use of push bikes will be permitted, as seen in MotoGP™. On a similar note there is set to be a prevention of machines at the back of the grid for race formation which is again mirroring the regulations of MotoGP™. FIM Supersport World Championship (600 class) will welcome an introduction of flag to flag races, meaning we will see Supersport motorcycles change tyres during a race when conditions change. It is reminded that as from 2017, the FIM Superstock 1000cc Cup becomes a European Championship under the name of European Superstock 1000 Championship. Various technical changes are to be implemented into WorldSBK for 2017, and despite some only being minor it will see a large impact on the series. FIM Superbike World Championship: Airbox regulations have been updated meaning sensors will now be allowed to change. Additionally parts of the Variable intake tract system may now be replaced for added strength, whilst retaining exactly the same functionality as the respective street bike. FIM Supersport World Championship: In terms of technical modifications for this class updates have been brought in to allow modifications to the wheel axles, related parts and front fender mounts. These changes will mean we will see easier, safer and faster wheel changes. As of the upcoming season, it will now be the athlete's duty to immediately inform the medical director if there are changes in his/her health condition which may interfere with the ability to ride.